Many kids feel less than confident during their teen years. When they have crooked teeth, they often want to undergo treatment. The problem is, most teens are less than enthusiastic about wearing traditional metal braces. With silver brackets and wires, these orthodontic fixtures aren’t discreet. Combine this with the fact that braces can be uncomfortable and difficult to care for, and it is no wonder most teens anticipate orthodontic treatment with dread. Invisalign® straightens the teeth and improves the bite without relying on these noticeable appliances. This is just one of the benefits that make so many teens excited about the idea of Invisalign® treatment. But is Invisalign® a good option for teens? 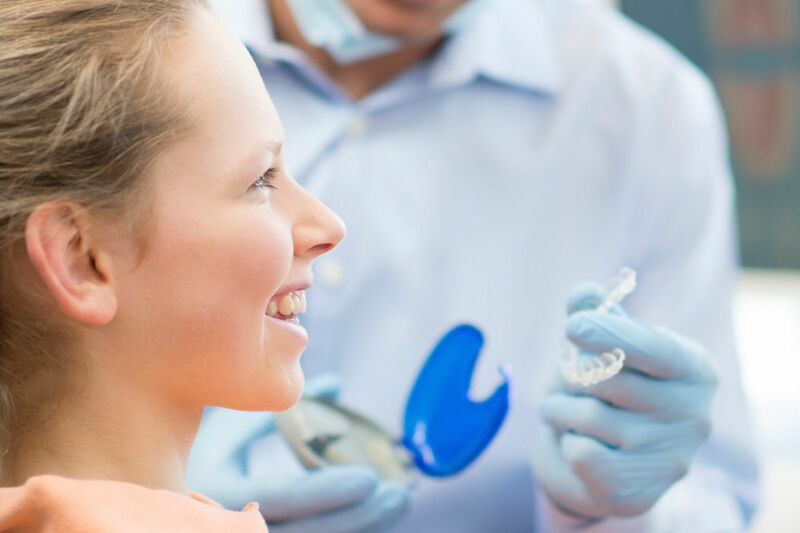 Redwood City, CA dentist Jean Barthman discusses the primary factors that should be taken into consideration when deciding if Invisalign® is right for your teenaged child. Is Invisalign® Right for Teens? Although most mild to moderate degrees of these issues can be corrected with Invisalign®, some severe cases may require traditional orthodontic treatment. The only way to know for sure if Invisalign® can straighten your teen’s teeth is to schedule an appointment with an approved Invisalign® provider, such as Dr. Barthman. When it comes to the question of whether a teen is mature enough for Invisalign® treatment, that is up to the discretion of the parents. One of the unique features of Invisalign® is that it involves the use of clear, plastic aligner trays. These trays are not affixed to the teeth. In fact, they are completely removable. This convenience is another perk of Invisalign® treatment. However, if the aligners are not worn for a minimum of 20 to 22 hours a day, treatment will not be effective. Any teen undergoing Invisalign® treatment will need to be committed to treatment and mature enough to keep track of their usage as well as their aligner trays. If your teen is in need of teeth straightening treatment and you’d like to know if Invisalign® can meet their unique needs, schedule an appointment with Dr. Jean Barthman at your earliest convenience.